Tilts are a unified way of applying circumstances to both characters and scenes during violent encounters. Tilts are mechanically similar to Conditions, but they affect characters and scenes in combat only. Outside combat, use Conditions instead. eyes and receives the Blinded Tilt. When combat ends, this shifts to the Blind Condition. 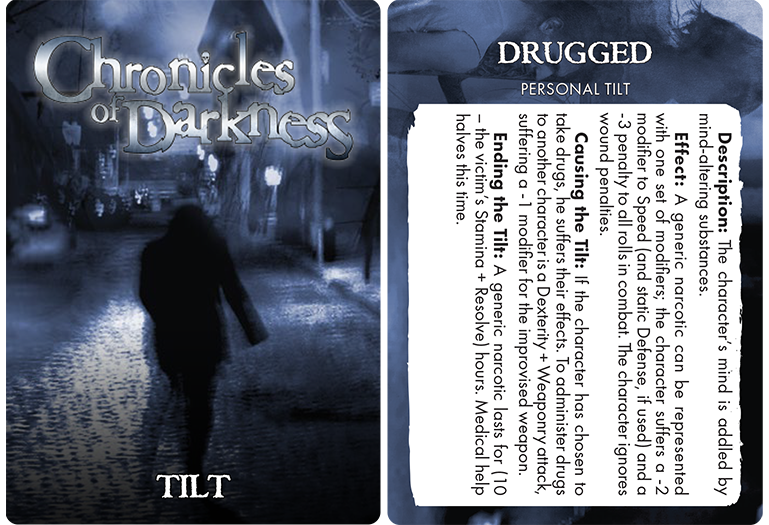 These Tilt Cards are a handy and elegant way to keep track of and incorporate Tilts into your Chronicle with each of the 21 cards featuring a single Tilt. 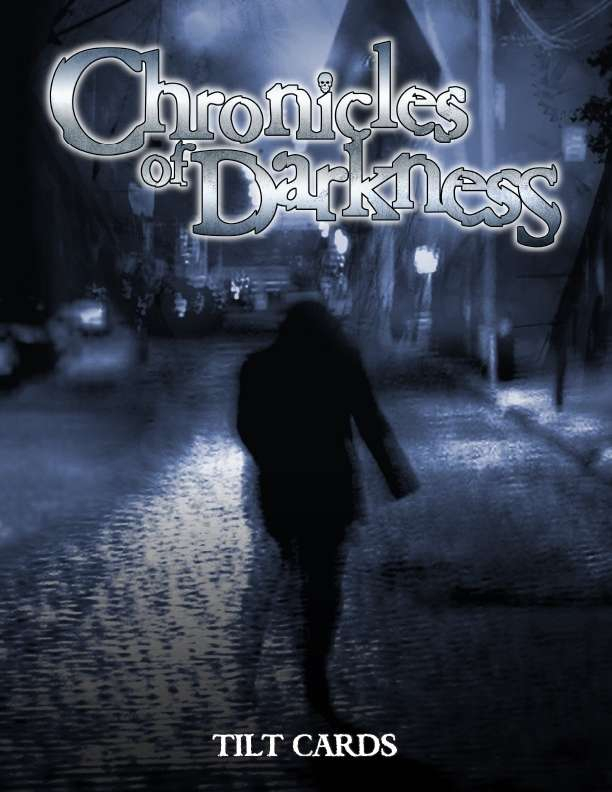 Check out the God Machine Chronicle Fiction Anthology, a collection of terrifying insights into the God Machine and its effect on the inhabitants of the Chronicles of Darkness setting.